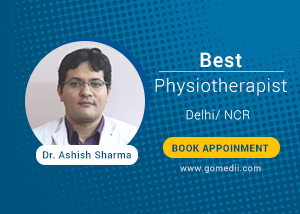 Dr. Ashish Sharma is an excellent Neurology &Orthopedic physiotherapist in Sector 26 Noida , practicing since 7 years with past experience in Fortis Hospitals, Noida. Specialized in Spinal cord injury & Strokephysiotherapy, he has great expertise in the formulation and execution of varied therapy programs. He completed his BPT\BPTh from Manipal Academy of Higher Education, Mangalore and MPT\MPTh from MMU Ambala.